The products in the Flexello Caster catalog are available through Service Caster Corporation. 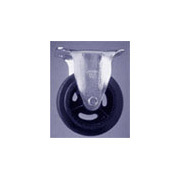 Casters and wheels for general work carts, bakery carts, general commercial and industrial dollies, and power towing are offered. 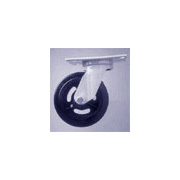 Flexello Casters - 11 Series Light Duty: Top plate or bolt-hole swivel. Wheel diameters from 2-1/2" to 5". Double ball raceway swivel caster conforming to ISO standards. 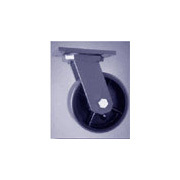 A bolt-hole version accommodating a 3/8" bolt is also available. 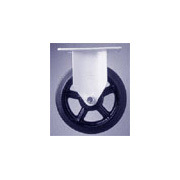 Flexello Casters - 19 Series Light Duty: Top plate fixed. Wheel diameters from 4" to 5". Double ball raceway fixed caster. 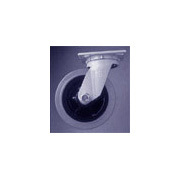 Flexello Casters - 22 Series Light Duty: Top plate or bolt-hole swivel. Wheel diameters from 4" to 8". 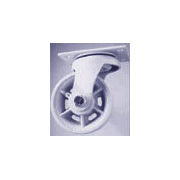 Double ball bearing swivel caster.